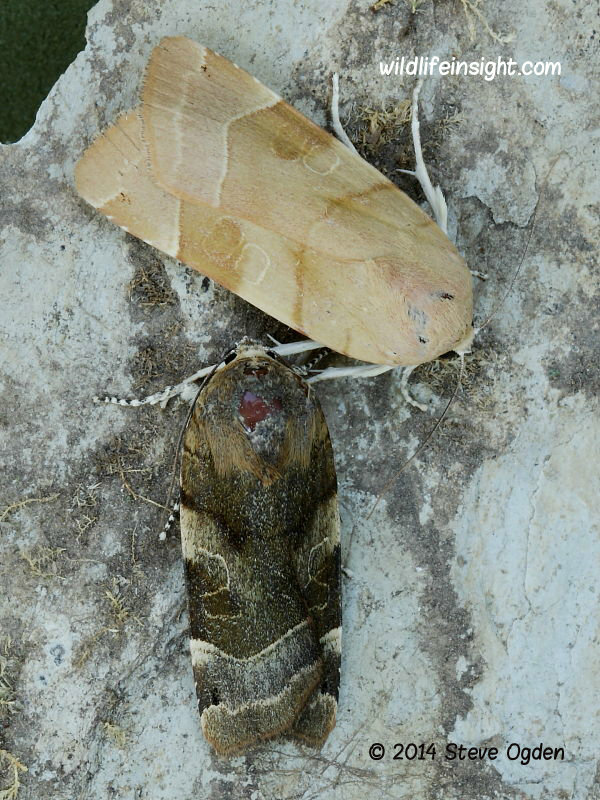 Broad-bordered Yellow Underwing moth and caterpillar , Noctua fimbriata. 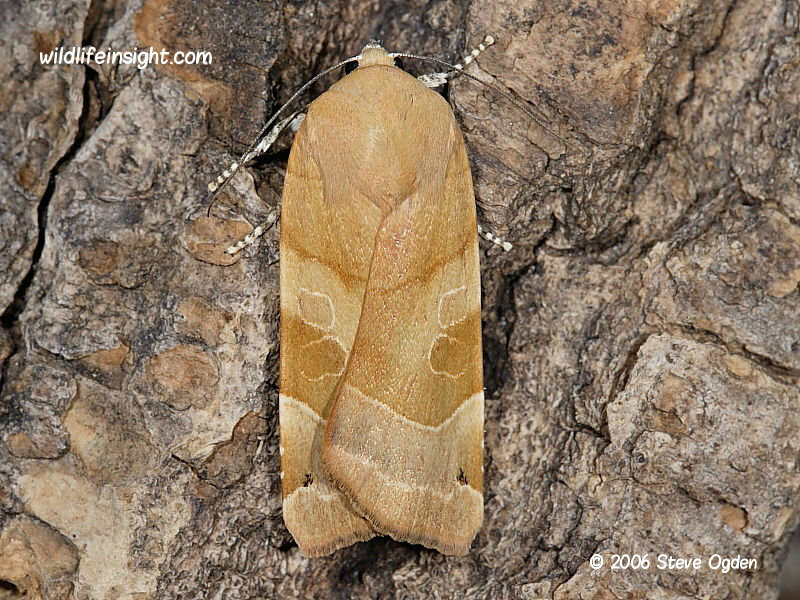 The broad-bordered Yellow Underwing moth is a common species in much of the British Isles and Europe. It has a wingspan of between 45-55 mm and flies in a single generation from June to September when it is attracted to light. The protracted flight period includes a period where the moths aestivate (become dormant). They can be found in a wide range of habitats including gardens, woodland and open countryside. 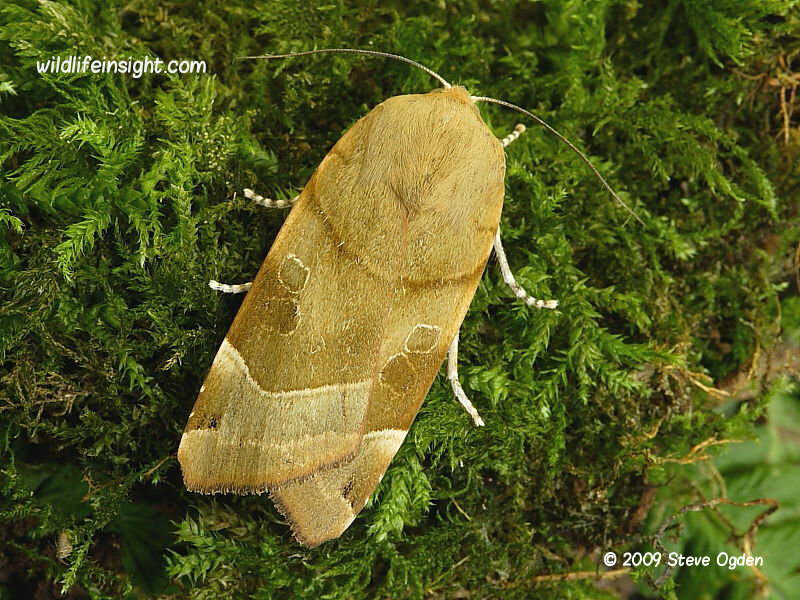 When compared with other Yellow Underwing species the orangey yellow hindwings, which are hidden when at rest, have a broader black sub terminal band. Other common Yellow Underwing species include the Large Yellow Underwing, Lesser Yellow Underwing, Lesser Broad-bordered Yellow Underwing and Least Yellow Underwing. The photographs featured are of specimens attracted to light in the south west of England. The caterpillars of the Broad-bordered Yellow Underwing grow to about 50 mm in length and feed on a variety of herbaceous plants and deciduous trees. The ground colour is variably ocherous – some quite pale with others an orangey brown. 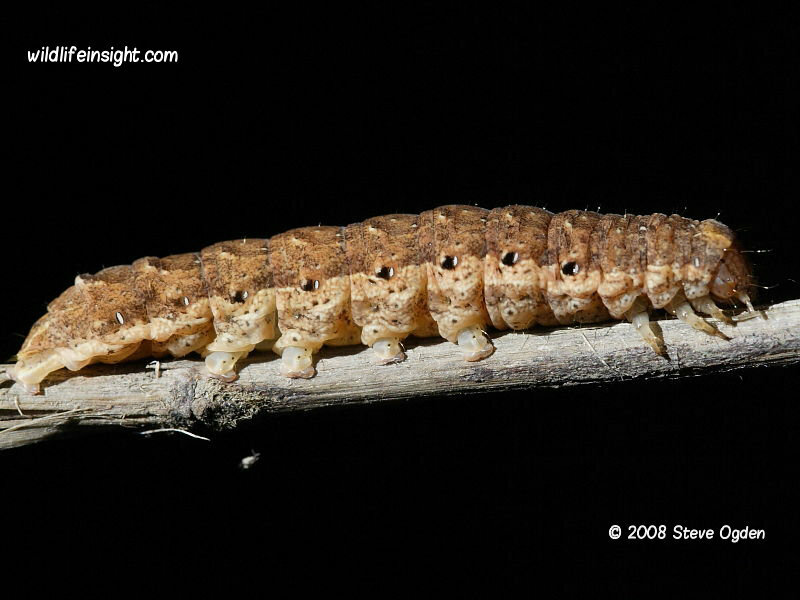 They overwinter and become fully grown by early spring when they pupate in the soil. The adult moths emerge in June. Moths of Great Britain and Ireland – Sean Clancy.